800 year old Putturu Shri Mahalingeshwara Temple was renovated recently. With the help of devotees and volunteers temple was restored to its glory in a year's time. 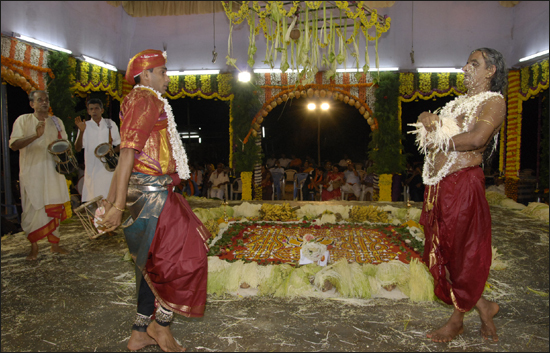 Punarpratishta and Brihmakalashotsava ceremony was held from 5th May to 16th May 2013. Due to renovation, annual chariot festival of the temple had been postponed and was held between 16th to 26th May 2013. Here are some photos of the temple after renovation. Also, included are the pictures of chariot festival held this year.